New Delhi: A good monsoon notwithstanding, inflation is expected to average 4.7 per cent in the current fiscal, up from 3.6 per cent last year, and Reserve Bank of India is likely to tighten the key interest rate in the coming months, says DBS a report. According to the global financial services major, good rains will support agricultural growth but a material respite to inflation will hinge on factors like oil prices, the rupee value against the US dollar and fiscal dynamics. India’s southwest monsoon has recovered in the past week. Crop sowing activity is catching up, along with an improvement in the reservoir levels. “The impact of a good monsoon on headline inflation is, however, less direct as past episodes of a strong monsoon did not necessarily mean low inflation as other offsetting factors played a bigger hand,” said Radhika Rao, India Economist, DBS Bank. In a report, she said that for this year, the volatile movements of vegetables, fruits and the like have been a bigger driver of food inflation, than the rain-fed foodgrains and cereals. Price movements are also influenced by other variables such as weak rural wage growth, recovering global food prices, minimum support price hikes, improving irrigation capacity and reservoir levels. 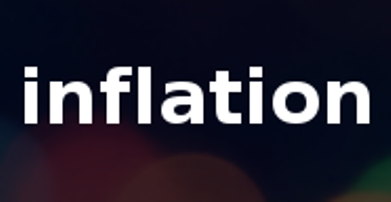 Moreover, factors like oil prices, the rupee, narrowing output gap and fiscal dynamics also impacts inflation. “As it stands, we expect inflation to average 4.7 per cent year-on-year in 2018-19 from 3.6 per cent last year,” the report said. On RBI’s policy stance, the report said high core inflation and a need to maintain financial stability is expected to keep the central bank on a tightening bias in second half of this fiscal. RBI’s monetary policy committee will start its rate review meeting from July 30 and is expected to announce its call on August 1. It had voted unanimously for a rate hike of 0.25 per cent at the last review in June.